Since 2015, our center has been hosting regular "Keep It Local" networking events at locations all over Mercer County. These incredibly successful morning events invite local business owners to come and enjoy great networking along with breakfast. 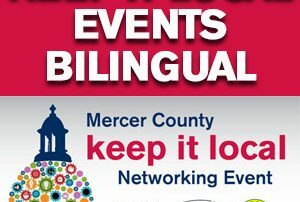 We are thrilled to announce that we have another Keep It Local networking event on Thursday, May 26th at TCNJ's Barnes and Noble Cafe, and our Spanish Business Center is holding its first "Keep It Local Latino" event for Spanish-speaking business owners on Tuesday, May 31st at Restaurante El Mariachi . Read on for details and to register FREE! Can Your Location Host Our Monthly Networking Event? Would you like 20-50 businesses to visit your location? Can your small business provide the space to host our monthly Keep It Local Networking events, bringing local county businesses together to build business? If the local business community is or could be part of your target markets, this opportunity is for you. Read on to find out more about this incredible opportunity. You're Invited to the Global Opportunities Princeton Chamber Breakfast Oct 27th, 8:30 a.m. - 10:30 a.m. at the Nassau Club. Join us October 27th for breakfast to learn how you can profitably and successfully expand internationally. Guest speaker Ed Marsh, Principal, Consilium Global Business Advisors will teach you how to better assure success through agile market development, use digital resources to expand your return on international strategic initiatives, understand how buyer behaviors can have a positive impact on your worldwide revenue growth, and much more! Free Business Week Networking Opportunity and Inspirational Talk! Join us Wednesday, October 21 at the College of New Jersey's Kendall Hall where Brian Smith will be delivering his keynote entitled "Managing Chaos - You Can't Give Birth to Adults." Brian's revelations on the transformation and growth of a business from its start to maturity are powerful points that every business owner can identify with. From taking an idea from "conception" to the "birth" of a product or service, through the long period of "infancy," (when most people give up) Brian will describe how to get through the "toddler," "youth," and "teenage" periods to the safe harbor of "maturity." Don't miss this rare opportunity to network with Brian Smith in person. Register now and secure your seat! 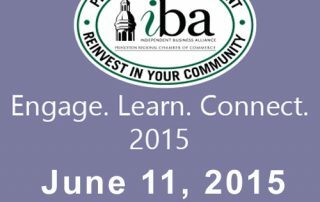 Guest Speakers Focus on Social Media, Business Leads and Employee Motivation Topics. 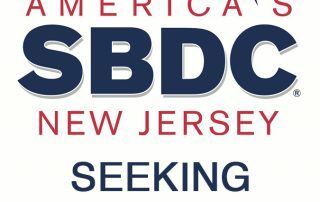 Join the Independent Business Alliance for its First Annual Signature Event on Thursday, June 11th from 7:30 a.m. to 10:30 a.m. at The College of New Jersey. Learn methods to strengthen & grow your business, including effective ways to utilize social media, techniques to get more business leads, and ways to motivate & engage employees to increase productivity, along with so much more. Read on to learn about our guest speakers and register online today. Meet Us For Breakfast and Local Networking at Chambers Walk Cafe in Lawrenceville on November 20th. Successful business owners know that business opportunities abound when you are connected to your community. 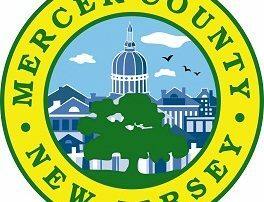 Through "Keep It Local" networking, you'll be in prime position to develop personal relationships with other Mercer County business owners. Read on for details and join us!